Good Wednesday morning to all! Now, is this darling and a real day brightener or what??? I am totally smitten here, TOTALLY! Michelle stamped and die cut two of our roses, placed them inside her die cut cup (and how cute is that cup! ), making them the focal point atop a few layers of patterned paper. And that sentiment is a favorite, creating a wonderful all-purpose card. 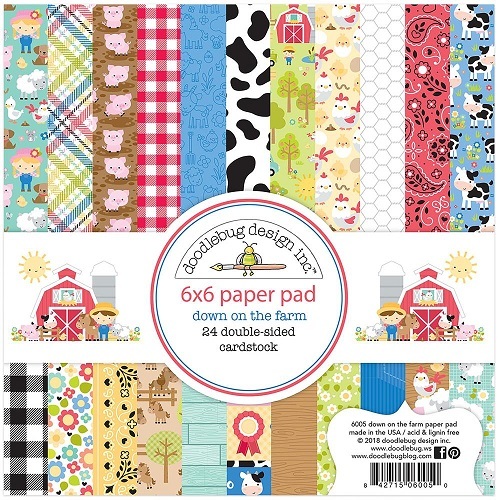 Paper: Down on the Farm by Doodlebug Design (background paper) – ON SALE! Fleur by Kaisercraft (cup paper) – ON SALE! 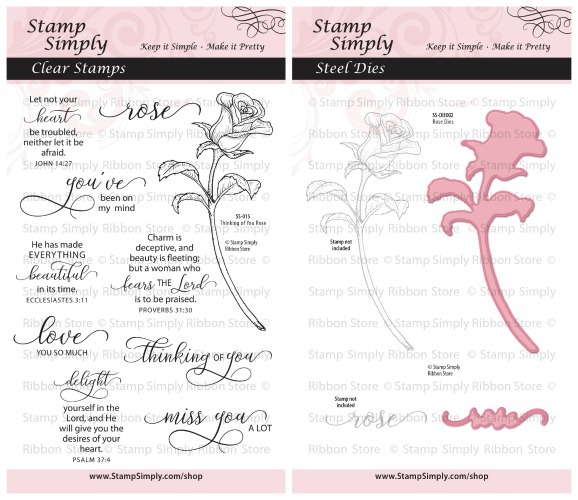 This makes a beautiful set for Mother’s Day cards, too, with all those lovely sentiments. These are the 3 sentiment sets in our Farmhouse Signage Series. 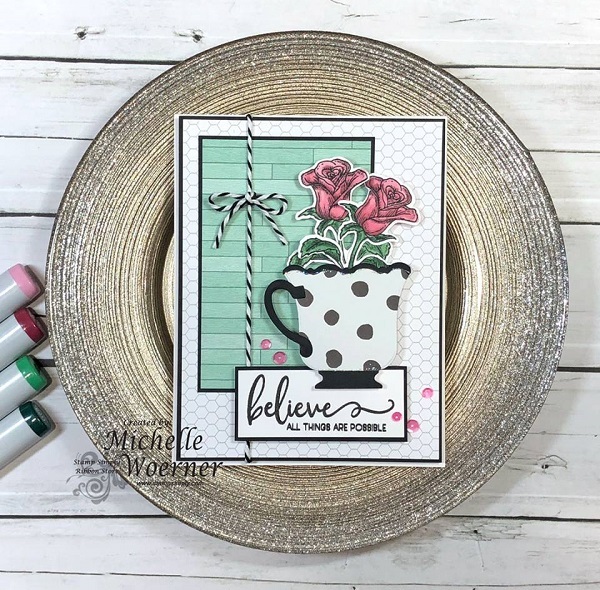 Michelle used the first set today – Farmhouse Simple Sentiments. They can be purchased separately or as a bundle (with extra savings!). Michelle didn’t use the coordinating stamp set today, but I just wanted to show it to you. Down on the Farm by Doodlebug Design – ON SALE! Find ALL paper in stock from Doodlebug Design here – ON SALE! Fleur by Kaisercraft – ON SALE! The coordinating die cut Collectable are in stock, too. What a gorgeous paper pad – one of my current favorites! 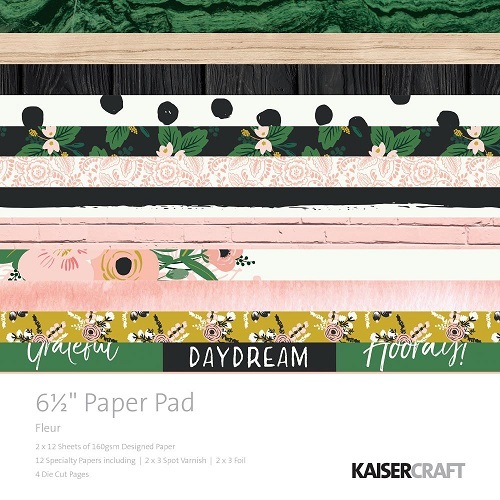 Find more Kaisercraft 6.5 paper pads here – ON SALE! 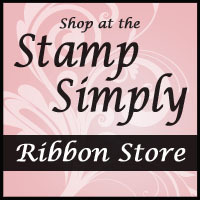 Items available at The Stamp Simply Ribbon Store, as linked. Find our HUGE PAPER SALE here – 25%-50% OFF! 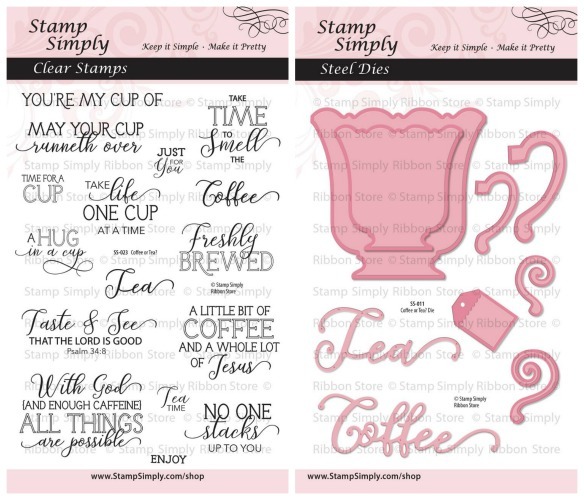 Altenew – Stamps/Dies/Ink – 25%-30% OFF! Our LARGEST Stamp Closeout Sale EVER! All Spellbinders products always reduced – dies and embossing folders. 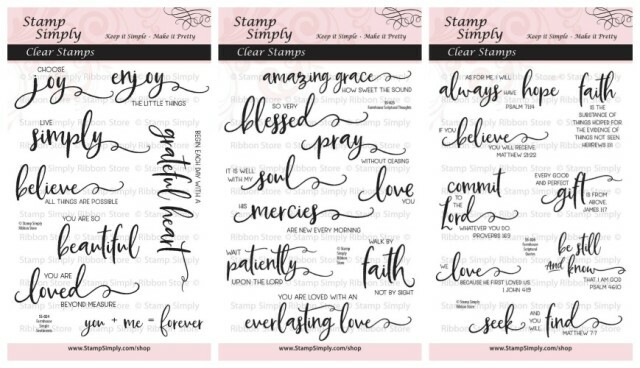 Find ALL Stamp Simply Clear Stamps/Dies here. Shop our full store here. Follow us on PINTEREST for tons of inspiration! Sign up for our email NEWSLETTER published once or twice a month. Subscribe to this blog using the Feedly, Bloglovin or Feedblitz links at the top left sidebar. Thank you for joining us today and we hope you join us again soon. This is just such a darling card! So loving all the new elements! beautiful! I’m going to share this in the Coffee Loving Papercrafters FB page!